It's home away from home and away from it all. Take a deep breath of mountain fresh air. Relax with mountain views, friendly people and more as you unwind in beautiful, historic Julian. Serve our guests with dignity and pride and ensure that we do everything in our power to make your vacation stress-free and relaxing. Each guest at the Apple Tree Inn will be treated with respect and familiarity because in an area this small, we're all pretty close! And if we aren't close now, after a few days we will be. We value your satisfaction and will do anything necessary to ensure your stay is comfortable and cozy. The Apple Tree Inn has grown and changed over the years, but the whole area has a character about it that draws people in. Our vision for the Apple Tree Inn is to be a destination you don't have to go far to enjoy. Our goal is to keep you and your information safe. 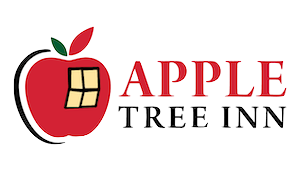 Apple Tree Inn is always finding news and events in the area to get involved in. We hope to see you at a local event! With TVs, Air Conditioners, and cozy decor, you'll feel right at home with us. Enjoy our outdoor pool that overlooks the beautiful landscape. While we have strong, fast WI-FI you can stay connected or completely unplug.